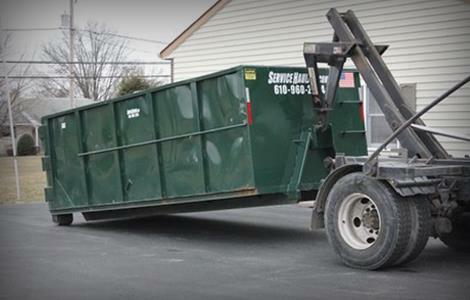 Service Hauling is your local, family owned provider of rental roll-off dumpsters for the Southeastern Pennsylvania region, serving Montgomery, Berks, Lehigh, Bucks, Chester, and Delaware counties. Service Hauling is available 24/7 to supply you with the size container you need, when you need it. Your will be amazed at the quick response, and best of all, you will be dealing with the owner of the company, not an automated message, answering service, or dispatcher. 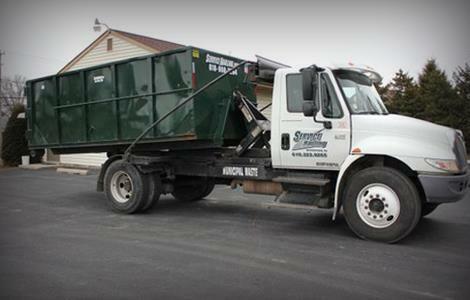 If you're cleaning out your house, getting ready to move, or even just spring cleaning, and you find yourself in need of a roll-off dumpster, look no further than Service Hauling. Most weekly trash collections will only take a limited amount of trash, and sometimes you just need more room. Let us provide one of our roll-off containers; they're smaller and more manageable so you don't have a huge dumpster just sitting in your yard taking up space. Call us today at (610) 960-2264. Construction or renovation projects are considerable larger, and, as such, will need more space for refuse and discarded material. To accommodate those needs, we have larger roll-off containers. Regardless whether you're renovating a small office or large corporation, we have the resources to help you do it quickly and efficiently. 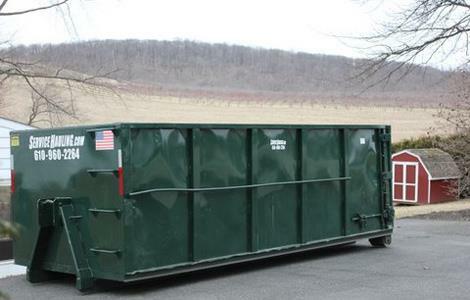 Our roll-offdumpsters come in a variety of sizes for your convenience. Convenient for You Even if you need a roll-off container, you don't want a roll-off container to be an eyesore or something that's going to take up a lot of room in your yard or driveway. We're mindful of this and will make sure our container is put in a place both effective and space-efficient. Delivered On Time We know that when you have a home or site improvement job, you need a roll-off container, and you need it fast. 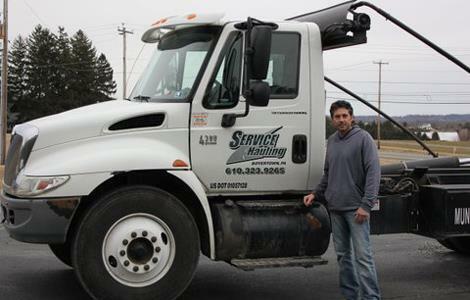 Service Hauling guarantees prompt delivery so you're not left in the lurch! Stellar Service We at Service Hauling love to please our customers. That's why customer service is so important to us. We ensure that each customer is given individual, customized attention depending on what you need. From friendly representatives to reliable delivery, we've got you covered every step of the way.